Intentist musicians are all interested in exploring intentionalism in their work. Intentist musicians face these issues in a unique way. Music, like text is linear and narratorial. However, music, like the visual arts can demonstrate palimpsestism. Chords and arrangements and arrangements by definition involve layering. Sinatra recorded the Rodgers and Hammerstein American standard Soliloquy several times. The song is from the musical Caousel and concerns a young man comtemplating becoming a father. In this recording Sinatra’s 1946 recording is at first blended into his 1963 interpretation, and then finally bleeded into his 1995 live rendition. Since the orchestration was kept the same, the result is poignant as the listener can hear the singer age as he sings about life and death. 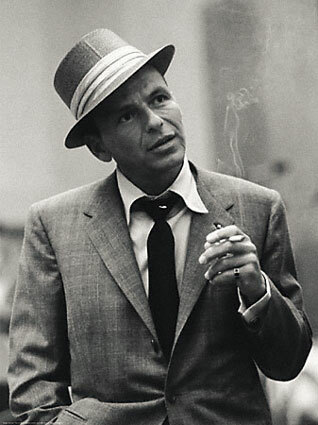 In fact, by 1946, Sinatra had just become a father, by 1965 Sinatra was a grandfather and by 1995 Sinatra was only a couple of years away from his own death. The Palimspsest art of layering to illustrate the creative trail is also manifest: as each version melts into the next, Sinatra’s vocal interpretation has noticeably evolved.